Marine coatings are surface protectants applied on the outer layer of ships, boats, ferries vessels, tankers, yachts and other offshore structures such as oil rigs to protect the surface exposed to saline or fresh water. Thus, increasing the shelf life of the marine vessels. Marine coatings protect the submerged surface and slow down the growth of subaquatic organisms that gets attached to the hull in the form of barnacles, algae, slime etc. and hinders the performance of the vessel. Further, Marine paints include epoxy fairing compounds, epoxy primers and sealers, that act as barrier against corrosion on metal. 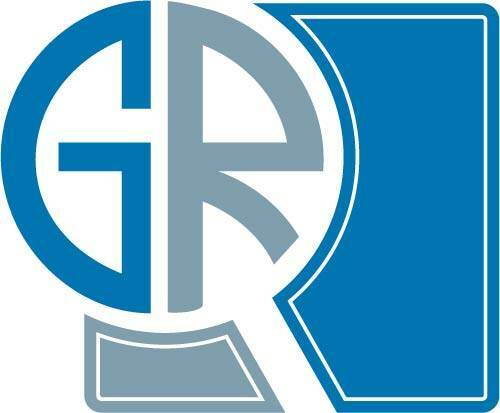 Globalization continues to be an effective macro trend that will benefit the marine industry. Expansion in the world trade, in tandem with the ongoing urbanization has fueled the demand for large cargo vessels in the middle-east region. Owing to its favorable geographical location Dubai is a major shipping hub, and it is estimated that, approximately 80% of cargo that moves on the Middle East-Asia trade passes through the ports of Dubai. Further, extensive import and export activities in the region has fueled the need for container ships, general cargo ships and crude tankers such as ULCC and VLCC, will subsequently increase the need for ship maintenance activities, thereby spurring the anti-fouling coatings demand in the coming years. However, the volatility in the prices of the raw materials used in marine coatings due to fluctuating petroleum prices might hinder the production cost and reduced manufacturers profit margins. Titanium dioxide and copper in particular, are essential raw material, and any change in its price will affect the overall marine coatings market size by 2024. Marine coatings market size has been segmented into foul release, anti-fouling, anti-corrosion, and others. Anti-fouling coatings are broadly used during repairing, overhauling and in new ship building activities to prevent growth of marine organisms on the outer layer of the hull of the vessel. 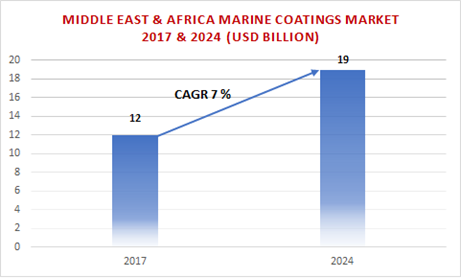 Based on application, marine coatings market size has been segmented into coastal, deep sea, containers, offshore vessels, leisure boats, and others. Coastal application includes dredgers, fishing vessels, tugs, passenger/cargo ferries, offshore supply vessels, defense ships, and coasters.